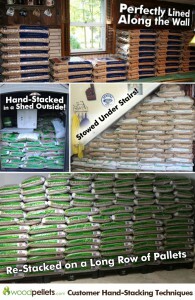 A skid, a pallet of stacked wood pellet bags, is 48 by 40 inches. A 1-ton skid of fifty 40-pound bags is about four feet tall, and a 1.5-ton skid of 75 bags is about six feet tall. You might have enough space available to keep the pellet bags on the pallet just as they were delivered. 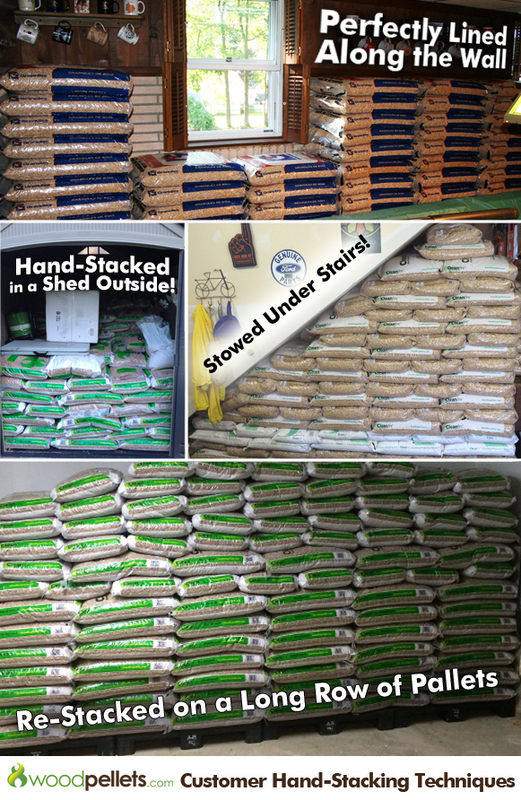 If you only have a smaller space available, or the 48×40 inch dimensions are inconvenient to you – re-stacking the wood pellet bags by hand is your best bet to maximize limited space. The approximate length, width and height of a standard 40 pound bag of pellets placed horizontally on the floor is 27 x 18 x 5 inches. These measurements can adjust a bit with some maneuvering of the pellets within the bag. Depending on the location of the stove and the size/efficiency of your home – yes. Some stoves can easily heat up to 2,500 square feet of space. A common practice is to put pellet stoves in parts of the house to create zone heat, but lightly use a central furnace as a back up. It’s especially common to use oil heating strictly as a backup to pellets, for example, when the price of oil rises significantly. 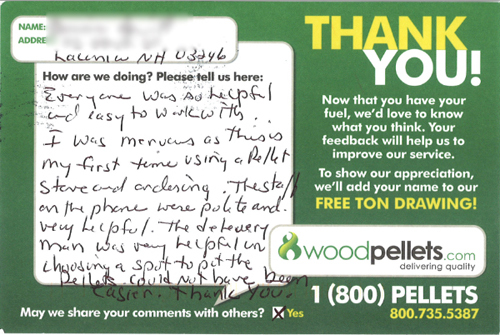 We read every single feedback card we receive, because we love to hear straight from our customers. We appreciate ideas, honest criticism, and of course – happy testimonials. Check out what some of our recent satisfied customers have to say! Would you use the card for yourself, or a loved one? Check out our list of gift ideas that are each around $50, and all available from Amazon.com. Green Valley Sleeping Bag: Highly-rated sleeping bag for the camper (under 5″11) in your life. Coleman Road Trip Party Grill: Collapsible and compact – this mini grill is great for tailgating, too. 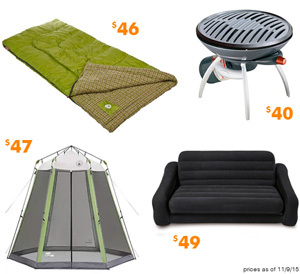 Intex Inflatable Pull Out Sofa Bed: Impress fellow campers with your outdoor sofa, which can easily convert into a bed!